Dr. Lisa Kachouee is active as a solo, chamber, and orchestral clarinetist, pedagogue, and scholar. Her recent performance highlights include a Carnegie Hall debut; solo and duo concert tours; residencies; international, national, and regional conference performances; and concerto performances with wind and orchestral ensembles. She has held positions with the Albany Symphony Orchestra; Tallahassee Symphony Orchestra; Sinfonia Gulf Coast; Oklahoma Composer's Orchestra; Taneycomo Festival Orchestra; Orchestra Iowa; Tucson Chamber Orchestra; and the 257th Army Band of Washington, D.C. Dr. Kachouee performs throughout United States as a member of Duo Rodinia with percussionist and composer Jamie Whitmarsh. As a former member of the Fred Fox Wind Quintet, Dr. Kachouee was selected to perform at the Dr. Alfonso Ortiz Tirado Music Festival in Alamos, Mexico. The quintet was a national finalists in the Music Teacher's National Association Chamber Music Competition and the Coleman Chamber Music Competition. A champion of contemporary repertoire, Dr. Kachouee has premiered and commissioned over thirty chamber and solo works and is currently part of solo and duo world premiere recording projects with PARMA Recordings. Duo Rodinia performed at the Society of Composers, Inc. 2015 National Conference and 2016 SCI Student National Conference, as Featured Guest Artists of the 2016 SCI Region VI Conference, and presented premieres and recitals at multiple College Music Society conferences. Dr. Kachouee has performed solo and chamber works at festivals such as the Biennial Festival of New Music at Florida State University and the University of Nebraska Kearney New Music Festival. In collaboration with saxophonist and educator Alan Theisen, Dr. Kachouee premiered Neil Anderson-Himmelspach's Lignes Floues during a residency at Mars Hill University. Dr. Kachouee has recorded orchestral and chamber works on the Naxos and Vox Novus record labels respectively. In addition to her current faculty positions with Oklahoma City University and El Sistema Oklahoma, she formerly taught at Darton State College. 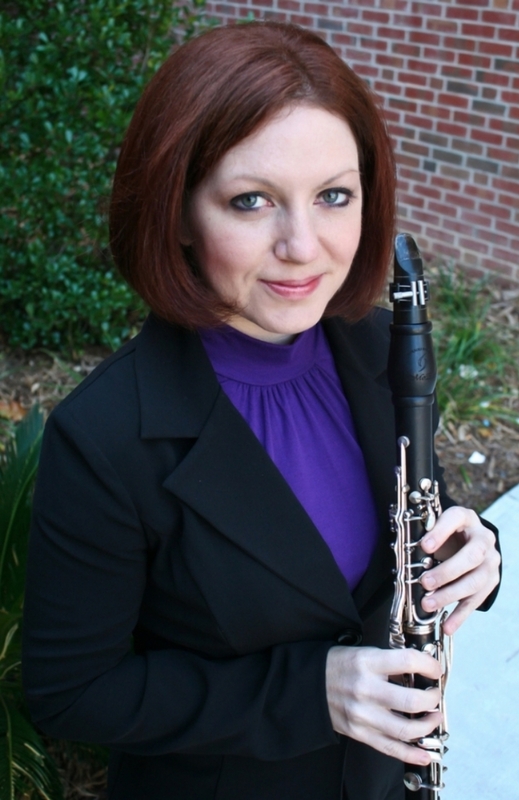 She has performed as a guest artist, lectured, given masterclasses, and taught applied clarinet at institutions such as the University of North Carolina at Chapel Hill, University of Oklahoma, Furman University, University of South Alabama, University of North Carolina at Asheville, University of Arizona, Oklahoma State University, University of Florida, Kent State University, East Central University, University of Central Oklahoma, Mars Hill University, Southwestern Oklahoma State University, University of Nebraska Kearney, Ball State University, Florida State University, Oklahoma City University, Troy University, Tennessee Tech University, Samford University, Mississippi University for Women, Friends University, University of Nebraska Omaha, Midwestern State University, University of Arkansas Fort Smith, Wichita State University, George Mason University, Casady School, Moore High School, Yukon High School, and the Thomasville Music Academy. Dr. Kachouee has contributed articles to The Clarinet (online), and published research on the life and works of Daniel Nelson. She holds degrees from Florida State University (DM), the University of Arizona (MM), and George Mason University (BM). Her primary teachers include Deborah Bish, Frank Kowalsky, Jerry Kirkbride, Brian Jones, and Michael Rusinek.